Surround your child with exotic animals, patterns and textures. This mural features many of our world's endangered animals and includes the inscription, "May You Come to Love and Respect Diversity in Life". Brilliant colors will add warmth and interest to your child's room. 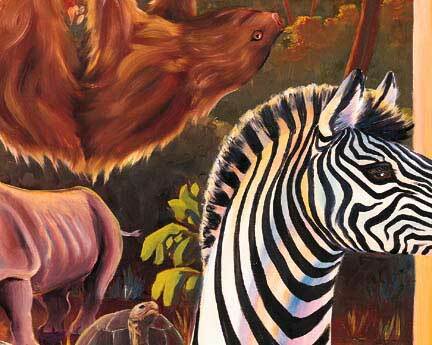 The Animal Diversity theme can be easily accessorized. 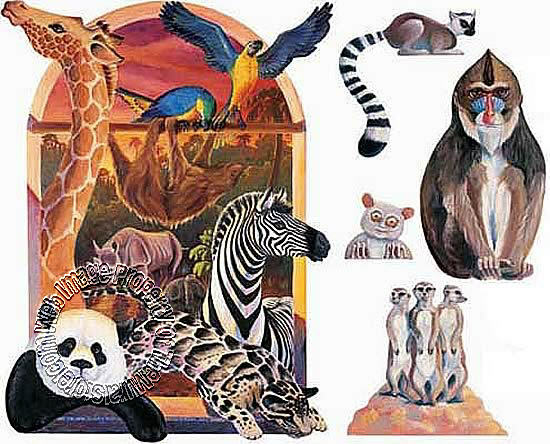 The main mural comes with four additional animal murals that can be spread about the room to enhance the theme. Try placing the lemur on a high perch such as a window or doorway. Refer to the Creative Idea sheet included with each mural for additional decorating hints and tips.